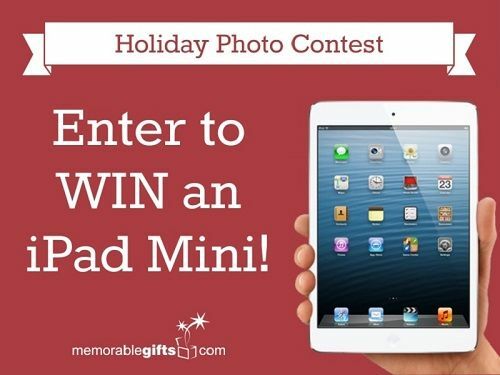 Holiday Photo Contest – Win an iPad Mini! MemorableGifts.com is kicking off this holiday season with a photo contest! Check out our Facebook and share with us your best holiday photos! It can be photos of you with your family, your kids with Santa, or the family pet dressed up. If the photo has anything to do with the upcoming holiday season share it with us! Share your photo with your friends to get more votes. The picture with the most votes wins an iPad Mini! Now wouldn’t that just look lovely under your Christmas tree? Check our the other great prizes and enter the contest on our Facebook page. Voting ends December 23rd. Good Luck!